Who doesn’t like a surprise birthday party? And when that party is accompanied with a theme, it is sure to be a hit among your folks. Theme birthday parties are a rage among today’s people. But, the stress of planning a perfect party takes a toll out of your enthusiasm and leaves your senses wrung out at the time of party. 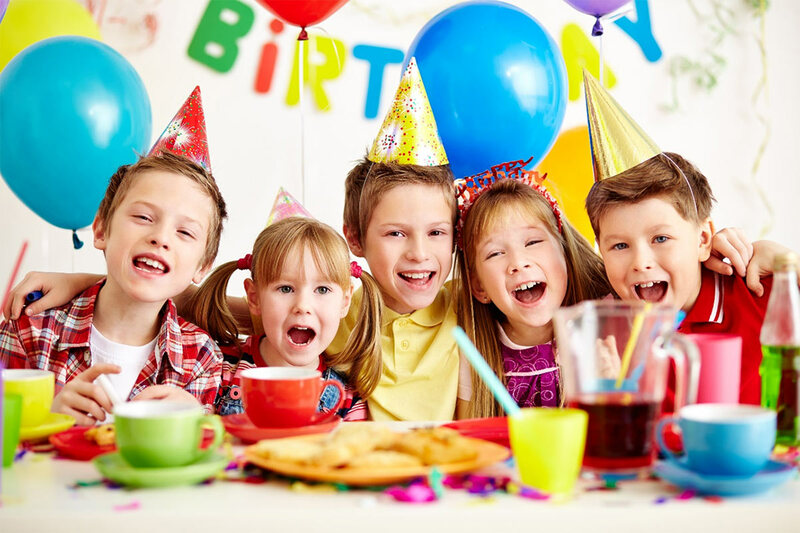 The first and foremost planning of a birthday requires you to decide the age group you are calling and the venue where you are going to throw your party. A birthday party also depends on the season as well. Going with a seasonal theme is always a hit among your guests. But, it being a very common theme, you need to add some extra eye-grabbing elements to make your party the best. Some of the best birthday party planners can make this happen for you easily. Your party need not to be a headache when everything is pre-planned as per your requirements. You just need to implement the steps one-by-one have make your party happen smoothly. Let’s check out what kind of themes can go with what age-group to ease you out of your mind-boggling sessions of theme decision. Tailor your choice of theme with your style and you are going to be the best party organizer. Age-1 the first birthday is the most special day in you and your child’s life. With your completed your first year of parenthood, you may create a musical atmosphere that will keep his/her spirits during all the time. Since, the baby is too small to understand any games, it should be avoided while songs or dance could provide much better entertainment. Your room should be decorated in bright colour as this is what attracts the children most. For an age group from 2-12 when the children learn much better about their surrounding and like to give their opinion as well, it will be much better if the party is related to what he/she likes, whether some cartoon character, a particular superhero or the usual the glitter and glamour, that goes with their choice. You may organize some play or even some game that they will be able to participate with some zeal. The age-group of 13-19 is a very typical age where you like to throw a party but in a different panache. It’s somehow more keeping the choice partial to your friends as you want them to enjoy equally with you. Well, this age knows what they want but is still confused as to how go with their themes. Some of the most popular theme parties for a teenager is Disco theme, beach theme, movie themes or a sports theme. Though, these are the usual ones, kids at this age also like horror themed or the usual slumber party that most teenagers especially girls like to have. For the folks of 20-30 years of age party is more about the food rather than theme. But, it would not hurt if you have an added glitter of themes at your party. Don’t be upset if you have stepped on the 20s. With a birthday bash to remember for, you will definitely forget about your age. People who are about to step into the 40th or 50th year of their life, it would put much fun to your birthday by bringing back the theme party of your younger years. You will recreate the atmosphere that you basked in during your yester years. Just take your friends on-board and refresh the memory of your previous days. Age 60 is a turning point in one’s life. Either the person is retired from his job or is about to take his retirement soon. Throwing a party for this age is bit subtle in terms of party decorations and preparations. What all could be done at your party then? Well, you can plan a grand dinner with your family, friends and colleagues. Arrange an event of speech where the guests might share their moments with him/her. Even you can arrange a movie night or have a light music. Surprise parties at this age are best as the person least expects to celebrate his party in such glory. A backyard or lawn party is one of the best possible options for them. Age doesn’t matter when you are there to celebrate it at every walk of your life. Enjoy your every birthday to your heart’s content.